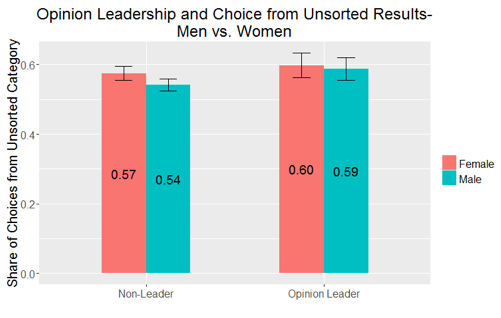 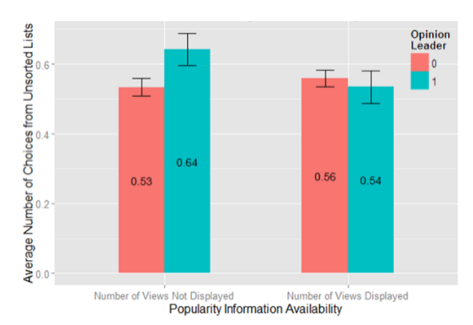 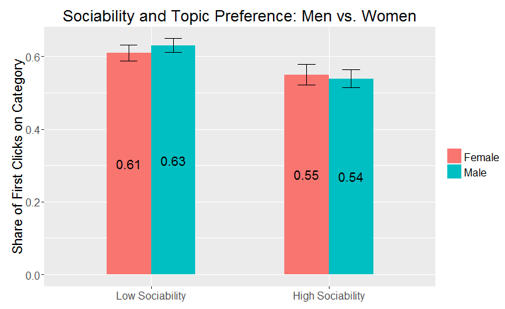 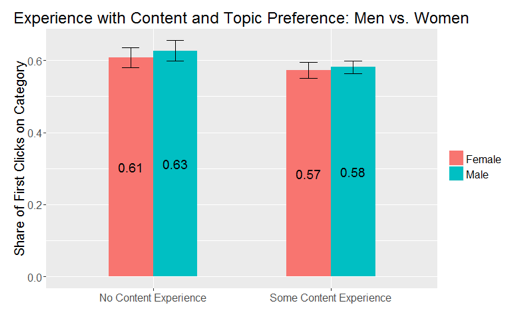 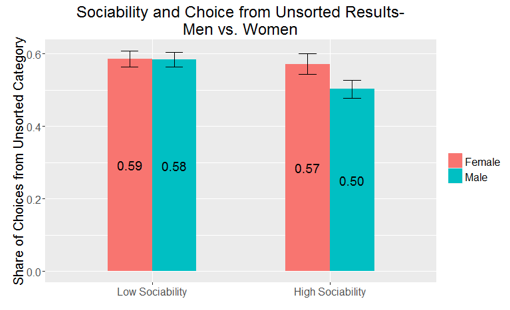 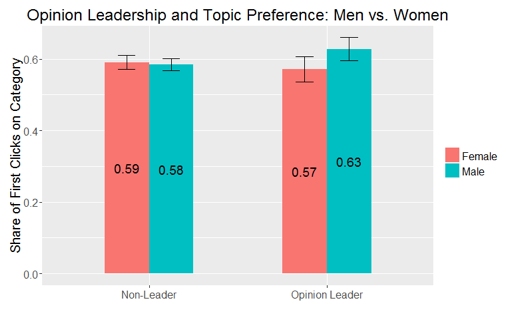 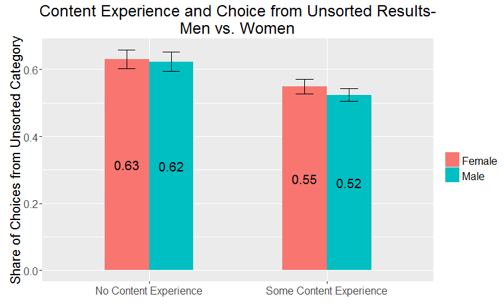 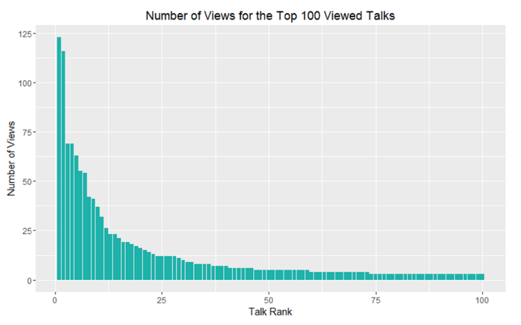 Bar-Gill, S and N Gandal (2017) “Content exploration, choice and echo chambers: An experiment”, CEPR, Discussion paper DP11909. 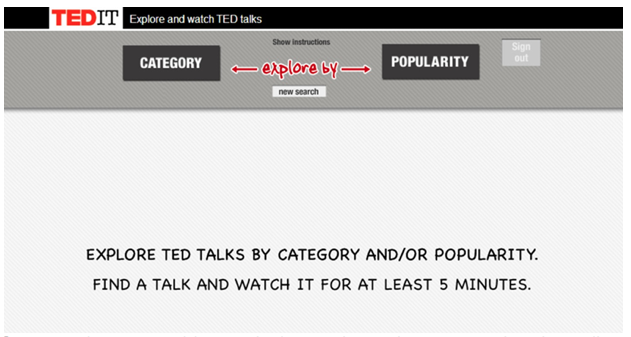 TED is a non-profit organisation devoted to spreading ideas, usually in the form of short talks (18 minutes or less). 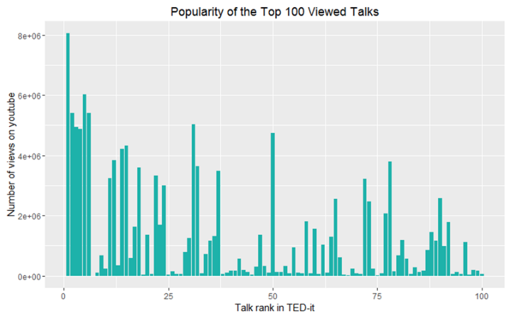 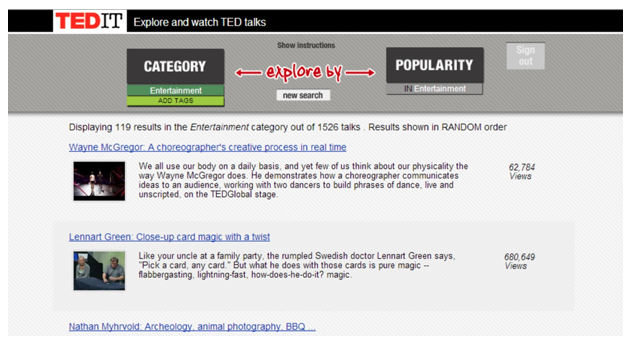 TED stands for technology, entertainment and design, though TED talks today may cover any topic (more at https://www.ted.com/about/).